Another haul!! As you guys know from a previous post, I went to Westfield last Tuesday with mum to spend some of my Birthday money! 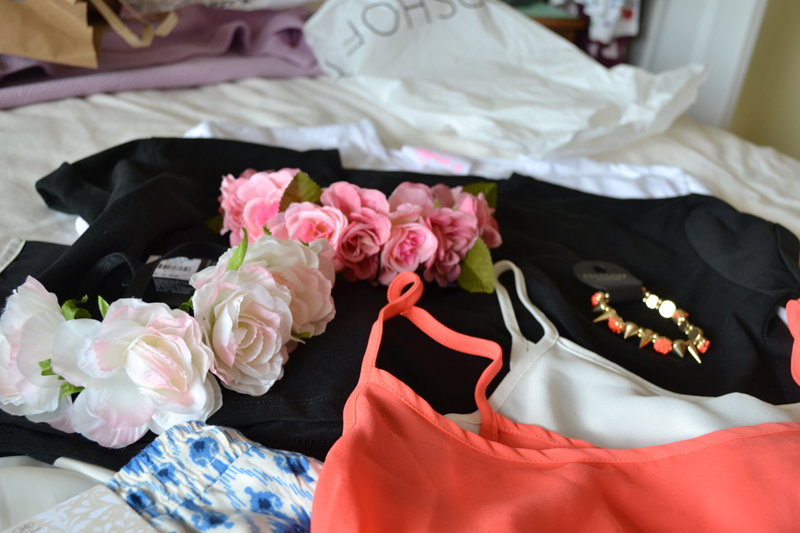 I didn’t really buy that much when you think about it, most of it is Primark goodies! I have two basic crop tees which always come in handy, som cute print shorts for holiday, a slightly smarter spotty top (I must have a thing for spots at the moment, I bought a spotted top from the topshop sale last week! ), a blouse which I debated over getting when it first came into the Ipswich store, and two floral headbands, one on elastic so I can wear it around a bun and one on an alice band. These are so pretty and I can’t wait to rock them on Holiday!! From Topshop my mum bought me the Joni jeans as I got some for my birthday which were unfortunately too small! I also got the matching bracelet to the necklace I got in the topshop sale.. it’s just too pretty!! I bought some more basics from New Look, some simple baggy cami’s, I’m not sure what material these are but they look so elegant and just gorgeous with some shorts or jeans! Finally was favourite purchase, the wedges from H&M! I am so in love with this and was super happy when they fitted my abnormally skinny feet. I got them to wear for the wedding I’m off to in a few weeks! 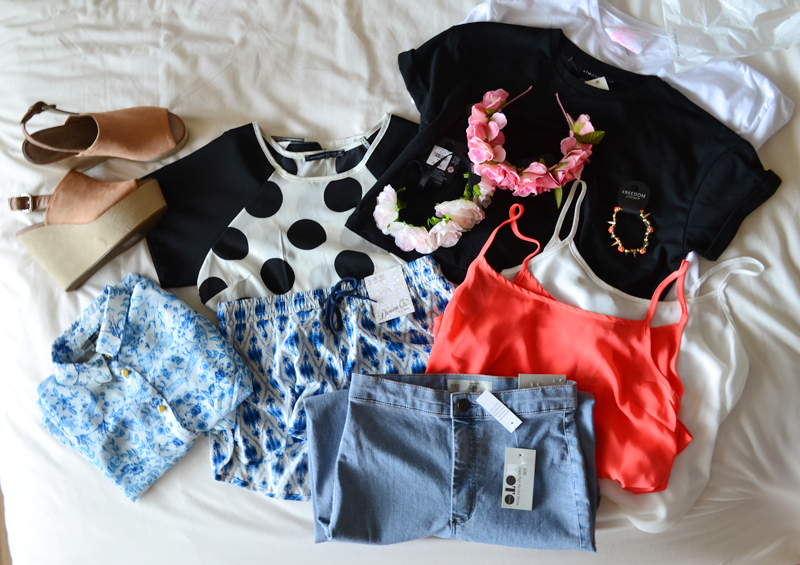 Buying all of this stuff is definitely a big acheivement for me! I’m one of those shoppers that adores new clothes but has to think if they really, really need it before they spend. I hate spending money, regardless of whether I have a lot of it or not! What kind of shopper are you?